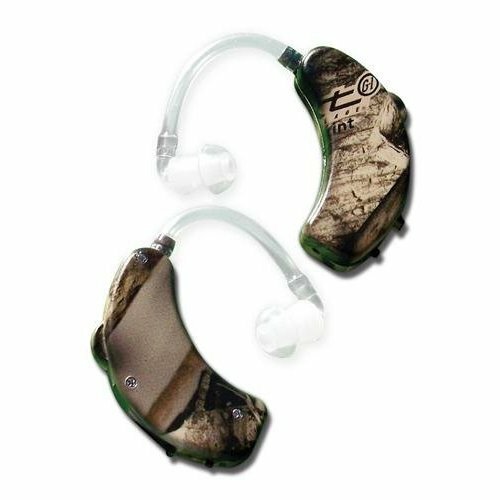 ULTRA EAR BTE CAMO 2 PACK - Increases hearing. Compact behind-the-ear design can be used in either ear. Lightweight. Increases hearing, Compact behind-the-ear design can be used in either ear, Lightweight, On/Off switch, Mild compression circuit, dB Limiting, Power source #LR-44 battery Included: 2 units, 2 sound tubes, 6 tulip tips (two of each size small, medium and large), 3 batteries and 2 maintenance tools.